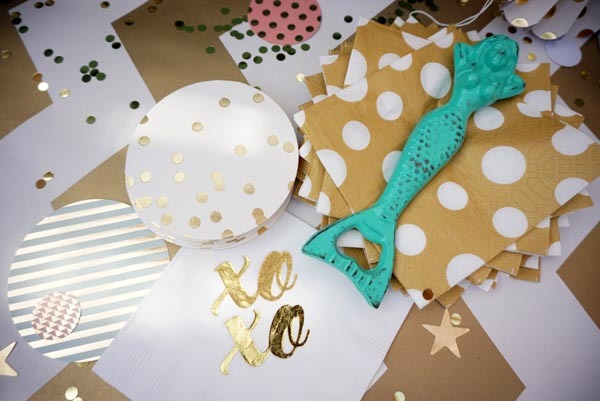 Mermaids are a huge summer trend and make a great party theme. 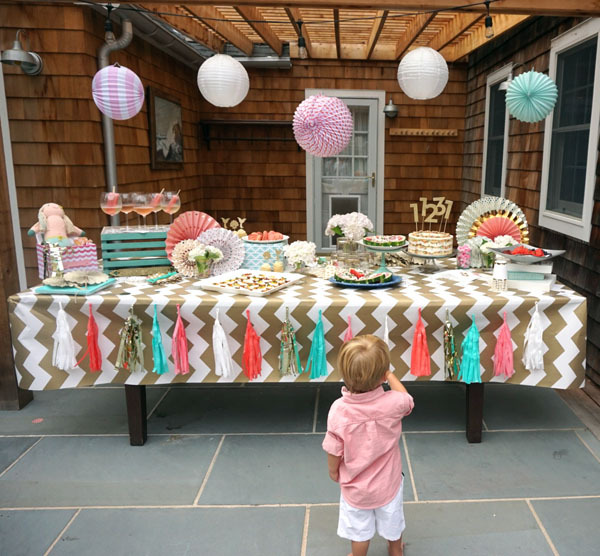 We’re obsessed with this Mermaid Party created by Natalie Thomas over at Nat’s Next Adventure. 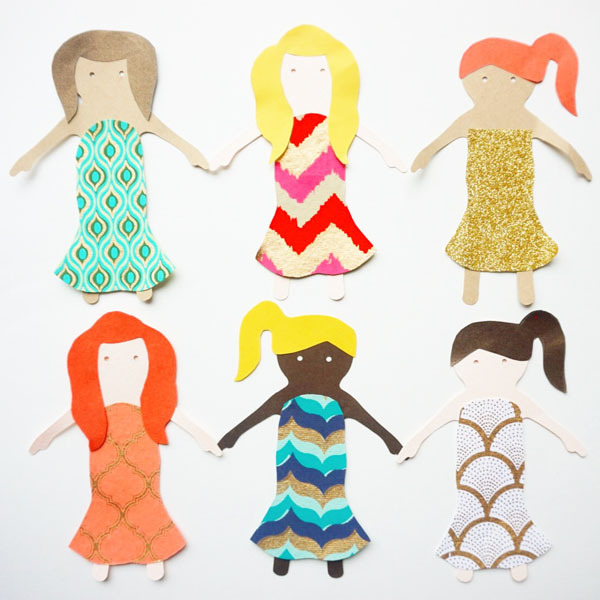 Natalie was throwing a Sprinkle (a baby shower for a woman who already has a child), but many of these ideas (like the paper dolls) would translate well for a kid’s birthday party, too! The party was for my dear friend Brooke, who is expecting her second child. I planned it with my two friends Amanda and Jessica, and it took place in the Hamptons, where the four of us are sharing a summer rental with our families. 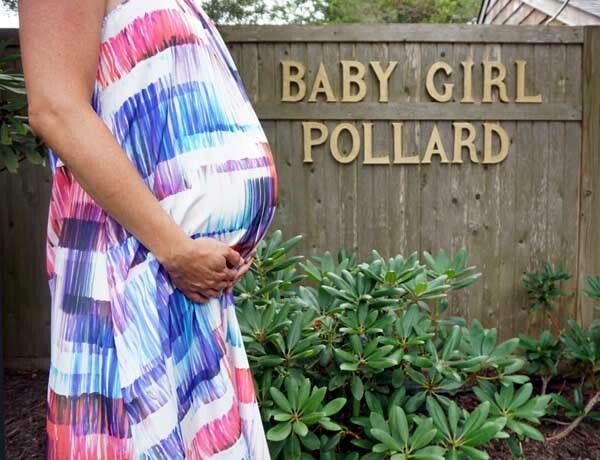 Since she’s having a little lady and already has a boy, we wanted to go with something girly. After looking at Paper Source’s products, we chose a mermaid theme because of all the cute things we could use, as well as it being summer and our close proximity to the sea out here. To set the stage, Natalie used a mix of products for layered effect that created an enchanting look. Using a paper table runner (you can also use wrapping paper) gives the party a more polished look. Natalie created a “custom” tissue paper garland by using the Colorful Tissue Garland as her base and adding in the gold tassels from the Black & Gold Garland. 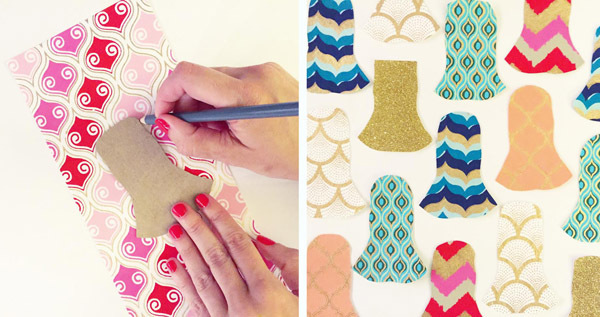 We love the way she used Paper Source products as a jumping off point, but continued to craft and ended up with a truly personal fête. 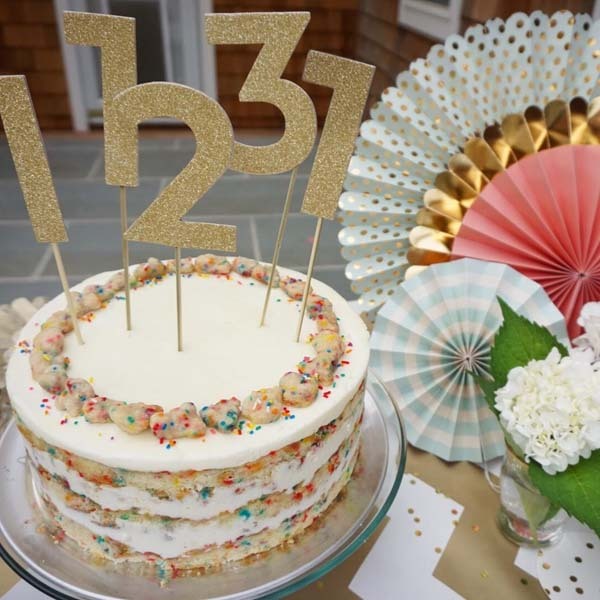 The cake was accented with Vintage Party Number Picks that held meaning for the couple (but could also be used for age in place of traditional candles). Behind the cake (and throughout the tablescape, Trend Party Fans added metallic pops of chic color). Metallic Paper Fans were placed around the party and doubled as decor and cooling! 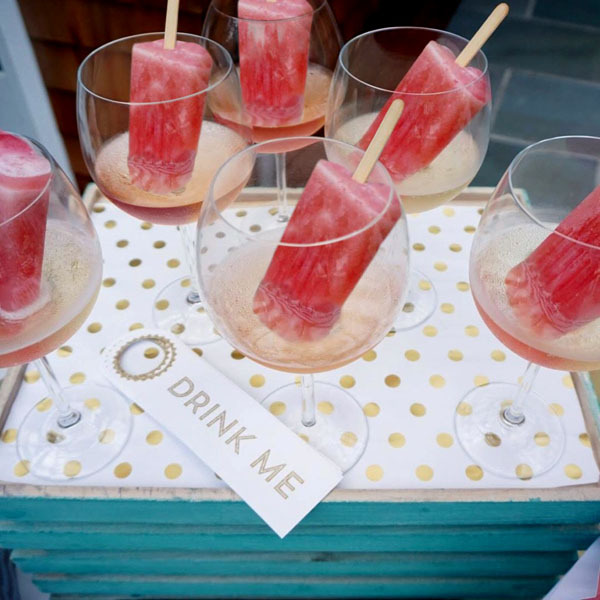 For the adults, popsicles were served in Prosecco atop a tray lined with Gold Foil Dots Wrapping Paper. Gold Dot Napkins, Kate Spade New York Gold Confetti Coasters, Trend Confetti and Gold Confetti were displayed along with colorful accessories to create a dreamy setting. 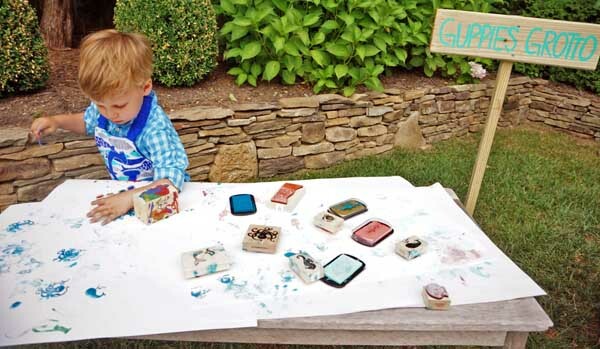 Natalie set up a kids-only corner called “Guppies Grotto” where tiny tots could get messy while they stamped, and left out a variety of rubber stamps and ink pads for the kids to go to town. She also had the kids make their own mermaids. 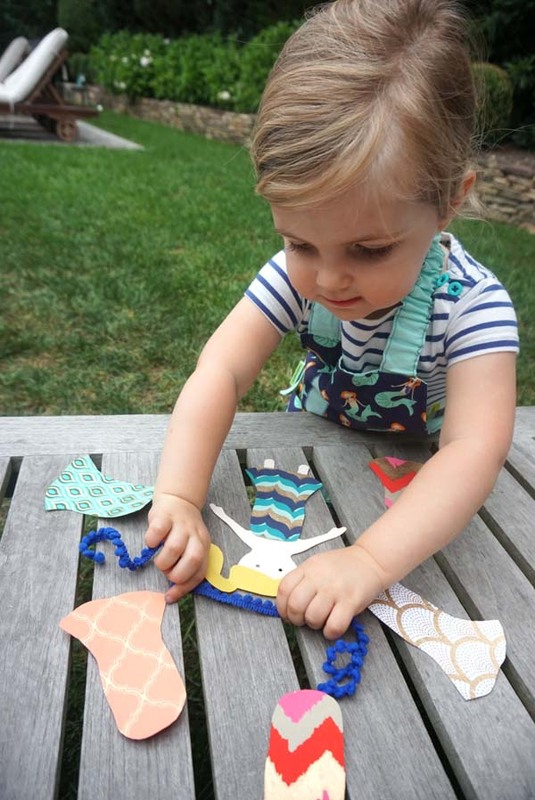 Using our Paper Doll Kit as the base, Natalie made her own mermaid tail template and pre-cut shapes out of the fine paper included in the kit for the kids to choose from. The final touch was spray painting the Craft Letters with gold and using them as a party backdrop. If you aren’t going with a DIY Photo Booth, this is another quick way to make a picture-perfect background (people will always know where the picture was taken). 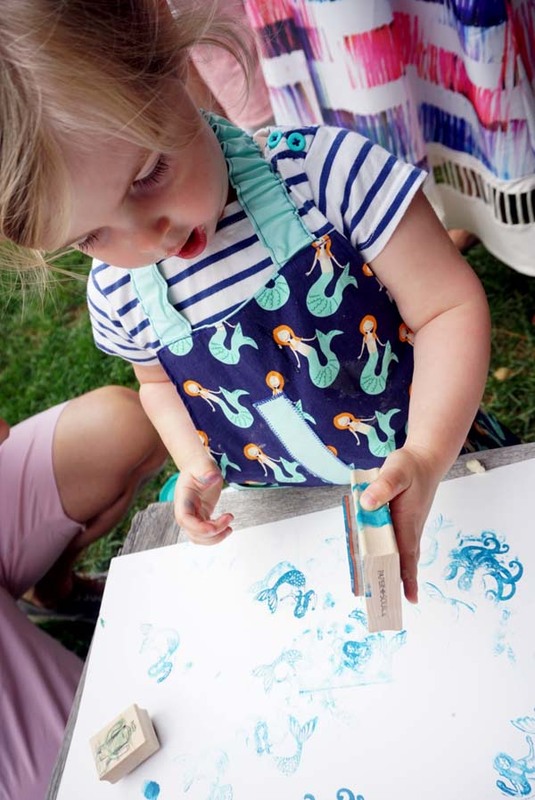 Natalie also used the Mermaid Art Print and plans to print the name and birthdate of the baby on it once she arrives to gift the parents as nursery decor (and a sweet reminder of this memorable sprinkle). What do you think? Does this mermaid shower inspire you? 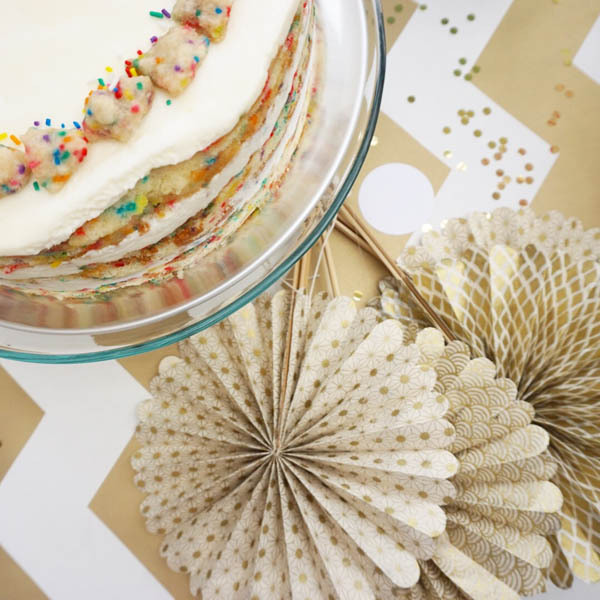 Don’t forget to submit your party or craft pictures to press@papersource.com when you use Paper Source products, and we might feature you on the blog! Natalie Thomas is the Founder and Creative Director of Nat’s Next Adventure, an obsessive party planner and mom to Lilly.